An incident occurs in Hidden Leaf Village and the Byakuya Gang is suspected. The gang steals from the rich to give to the poor, and they've been active recently in several villages. 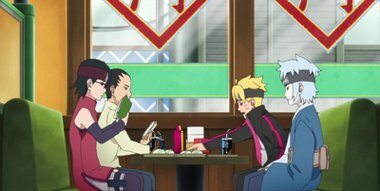 Boruto disapproves of them, because he believes stealing is stealing no matter how noble the reason.